Somebody is already enjoying an early Christmas present in our house. Albert received a lovely new bed from Finnish lifestyle brand Kind recently. Have you heard of them? I discovered them a few months ago and I really like what they do. Kind was founded by Maarit Kallio with the aim of offering functional yet stylish dog accessories and home decor - all designed to stand the test of time and not become scruffy with use. 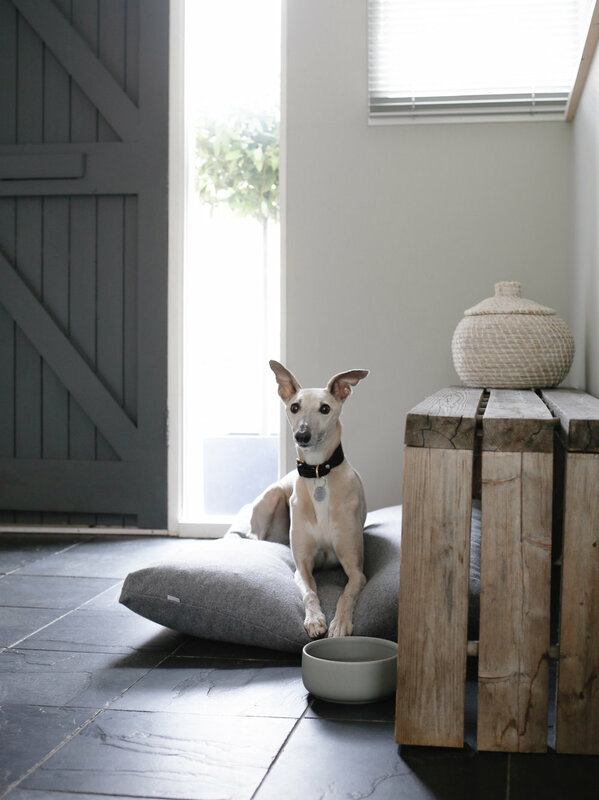 Their beautiful products combine comfort for your pet with clean, understated Nordic style for your home. 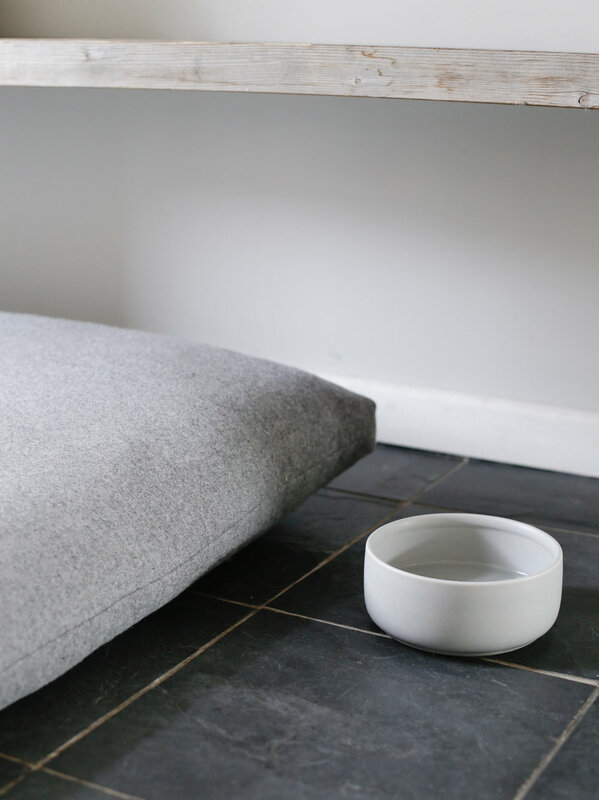 The Nokoset bed is the latest addition to their range of thoughtfully designed dog beds. Filled with natural materials it's super warm and comfy so Albert, who is very discerning and always seeks out the best seat in the house, loves it. 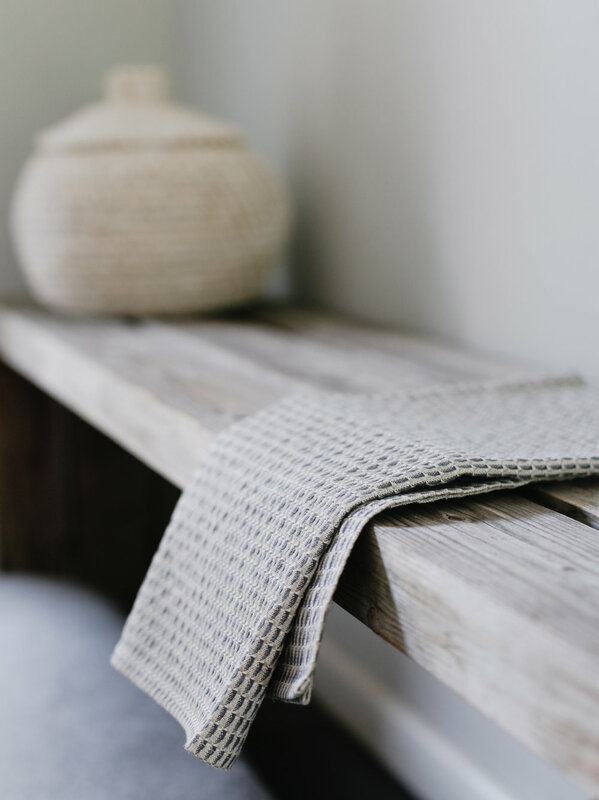 I'm happy too because it fits right in with our decor and the grey woollen cover adds a lovely layer of texture next to the slate and wooden bench in our hallway. 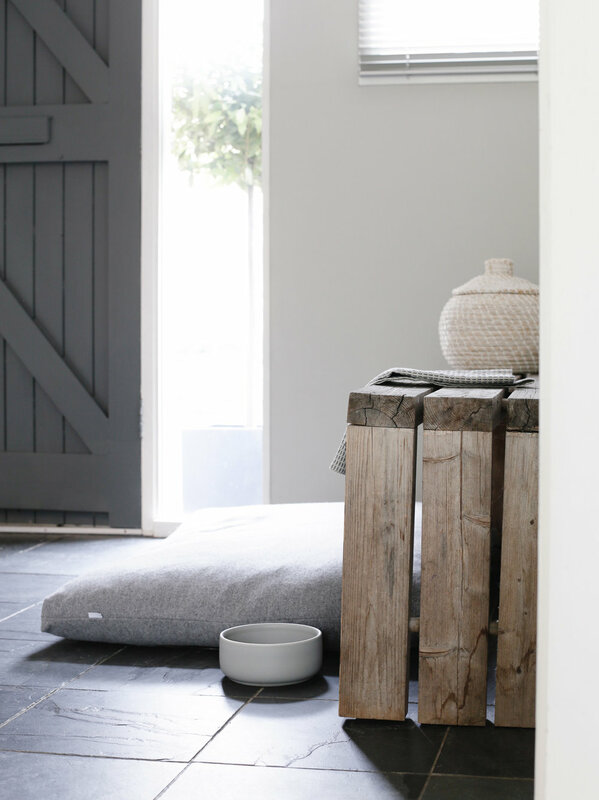 As well as beds the collection also includes collars, leads, home textiles and these beautiful minimalist dog bowls. Handmade in Finland from high quality stoneware with a lovely matt finish they are available in different sizes with a choice between soft grey (above) or a deep blue green. These are the waffle linen towels from their home textiles range. I'm tempted to use this one in the kitchen though as it seems rather too lovely for muddy dog paws. All of the products in the Kind range come in a soft, harmonious colour palette inspired by nature. It's rare to find pet accessories as thoughtfully designed as this and they definitely get a resounding paws up from Albert - he's one lucky whippet this Christmas! 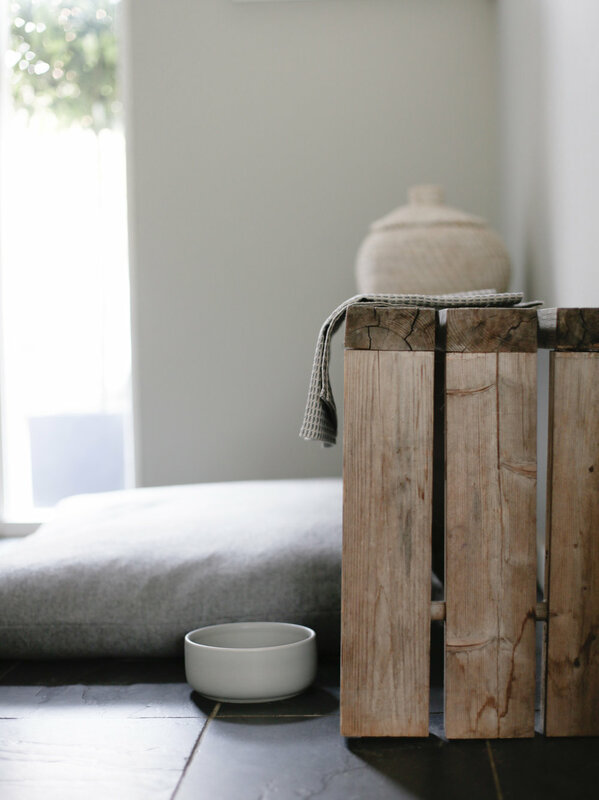 Nokoset bed, Ole hyvä bowl and waffle linen towel * by Kind. Modelling by Albert whippet and photography by Design Hunter.